Alec made note of Anita Thigpen Perry’s tearful and defiant speech yesterday at North Greenville University suggesting that her husband was being “brutalized” by the media and his presidential rivals because of his faith. But there’s another notable aspect of these remarks beyond Ms. Perry’s display of fierce spousal loyalty, or even her conviction that God has cast an early ballot for her husband: the debasement of the idea of “persecution,” one of the most unattractive habits of the contemporary Christian Right. Ms. Perry didn’t get specific on what sort of horrific persecution suffered by her husband she had in mind. 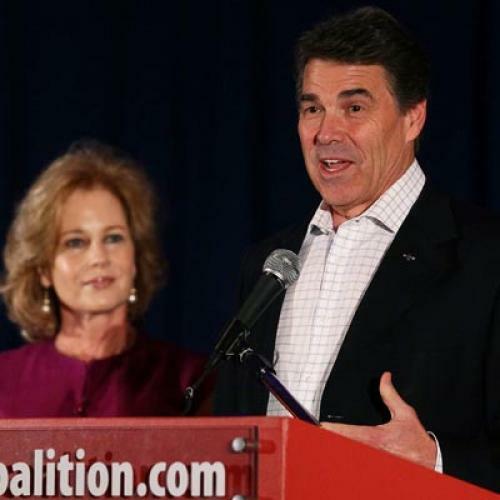 But the connection she thought it had with Perry’s faith might suggest the candidate was “brutalized” by criticism of the bigoted anti-Mormon comments of her husband’s good friend and introducer at the recent Values Voter Summit, the Rev. Robert Jeffress, a minister in the same denomination that runs North Greenville University. Given the rich history of actual Christian martyrdom over the centuries—and in some countries even now—it’s a bit pathetic to see comfortable (and in the Perrys’ case, rich and powerful) Americans pretending to be victims of religious persecution because other people don’t like their politics, their determination to impose their very particular brand of Christianity on everyone else, or their claims to be acting as agents of God Almighty. But let’s give Ms. Perry a break: Perhaps she is especially sensitive because we are on the brink of the season when conservative Christians have to endure the “War on Christmas,” the annual indignity of seeing “Happy Holidays” displayed on department store facades.